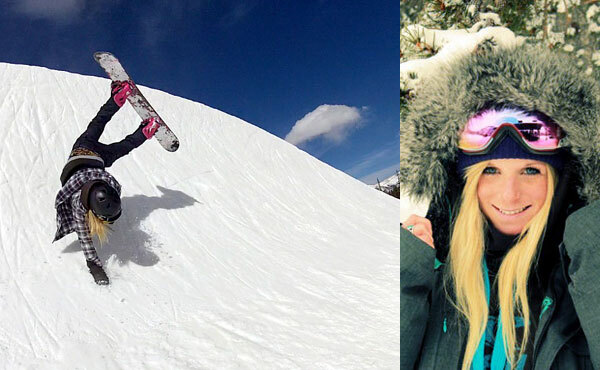 Hi, my name is Katie Blundell and i’m a female snowboarder from the UK. I have been snowboarding since I was 21…..and before that I skied since I was 2….but we don’t talk about that!! I did my first season in Tignes, France ( as a skier shhhhh) where I met my boyfriend Rich Jonas. Tried snowboarding but hated it, but at the end of the season Rich persuaded me to try it again. After a week I sold my skis and bought my first snowboard. Since then I have done a few more seasons, had 2 knee operations and got myself a Fashion/Textile degree! I have been to many wonderful snowy places including NZ, America, Europe, Canada and Australia. As soon as I finished University I decided to sack off a Fashion career and follow my snowboarding dream full time. Who knows what will happen, but as long as im still having fun, I want to push myself as far as I can go.